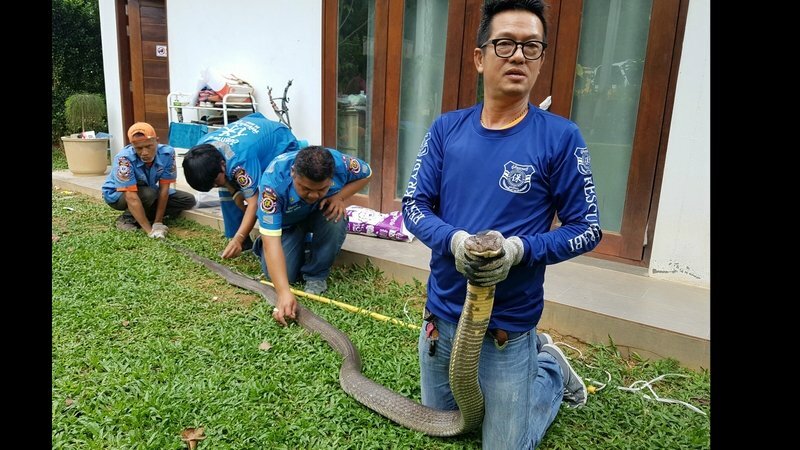 PHUKET: A five-metre long king cobra was found at a house in Krabi yesterday (Feb 6). The king cobra measured five metres and weighed 20kg. 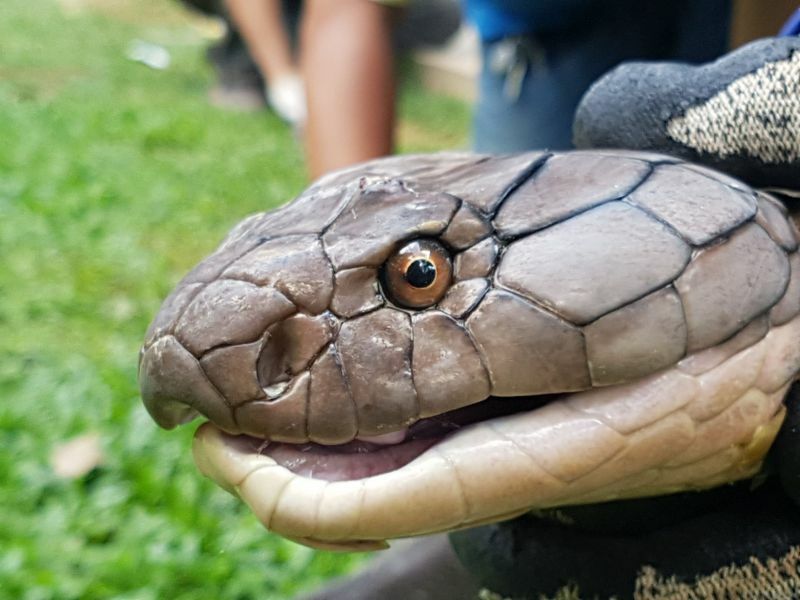 The cobra was found in a house connected to a restaurant by the owner of the property. “I was walking to the back area of the house to use the toilet when I heard a noise thinking it was a rat,” the owner explained. The owner called Krabi Pitak Pracha Rescue Foundation who arrived at the house and found the snake hiding under the washing machine. The team spent over 15 minutes trying to catch it. Once caught, they inspected the snake which measured five metres in length and weighed 20 kilograms. The team safely took the snake away and released it into a jungle far away from the house. Some of the villagers believe the king cobra was a guardian spirit, but rescue workers believe it had left the jungle in pursuit of food.